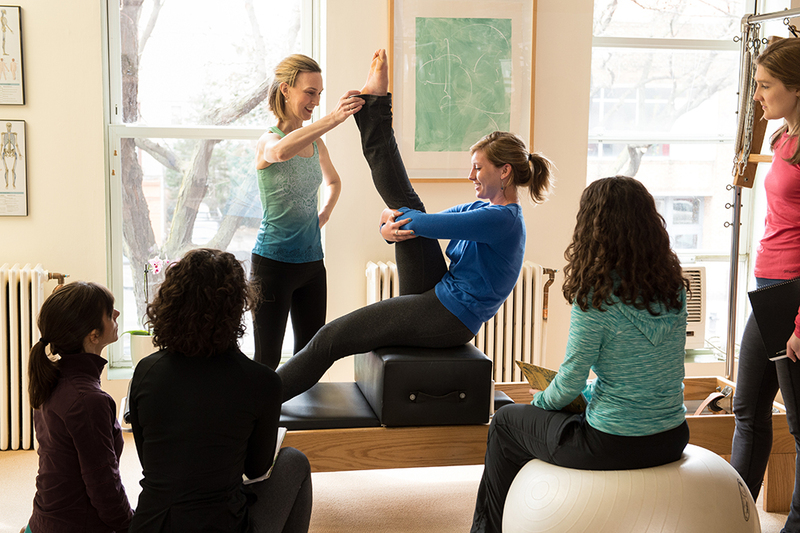 SPRING INSIDE PILATES is a year-long, small group immersive experience for certified instructors that encourages inquiry and exploration in multiple environments including private mentoring, monthly trainings, observation, movement labs and independent study. It is designed to empower instructors to think critically, trust their intuition, have confidence in their knowledge and hone their unique teaching voice. 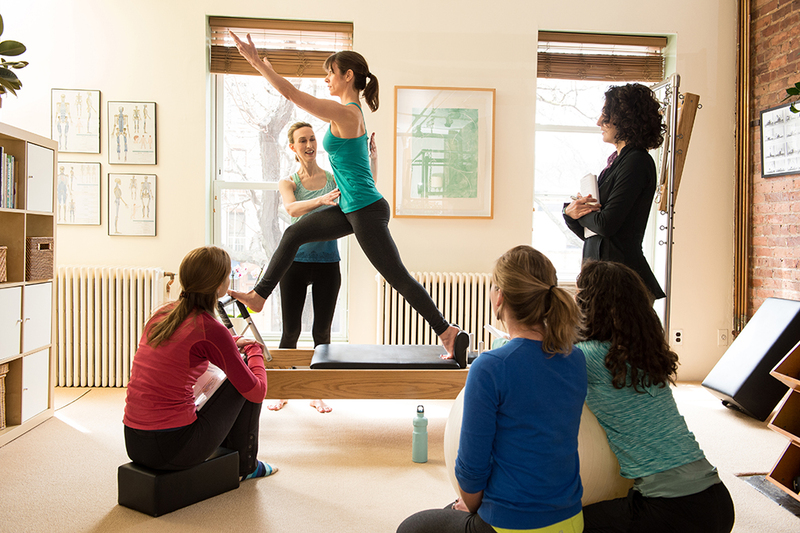 Our 6 Course Lenses offer a multi-faceted view in which to investigate the intersection of Classical & Contemporary Pilates. Multiple inquiries for each lens serve to spark our creativity, elevate the work & deepen our felt experience of it. Our journey together begins with a full weekend deep dive into The Spring Inside Perspective. Then one Sunday a month we will gather for a flowing Mat class, dynamic lectures, playful movement labs & interactive discussions. In June, we will convene at my home and studio in the Hudson Valley. Our usual movement explorations will be rounded out with swimming, hiking, ping-pong, nourishing food, relaxed conversation and plenty of fresh country air. The experience & guidance of a mentorship relationship will be woven into every fiber of this program! Monthly one-on-one movement & conversation meet-ups will be guided by your professional and teaching goals as well as your passions and curiosities.